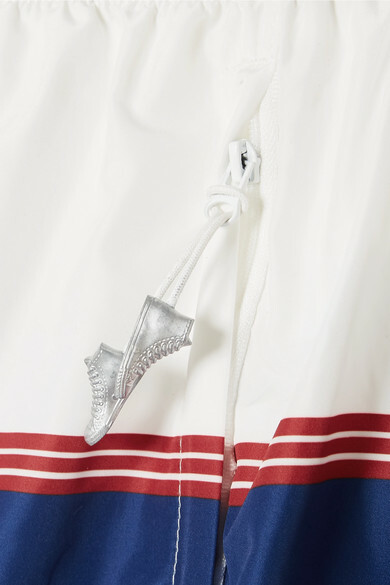 Adam Selman draws inspiration from American sportswear styles from the '80s for his first ever activewear collection, so it's no wonder these shorts have such a retro feel. They're made from breathable shell printed with sporty stripes and have an elasticated waistband and built-in briefs for added comfort and coverage. Wear yours to the gym with the brand's T-shirt. Shown here with: adidas Originals Sneakers, Alexander Wang Belt bag, Adam Selman Sport T-shirt.